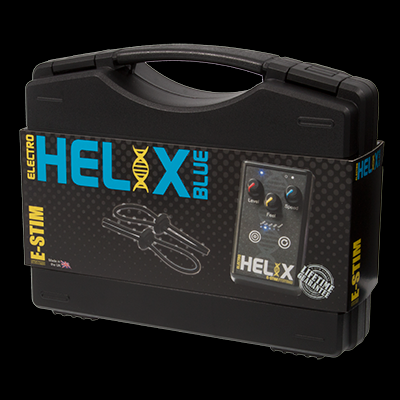 Shipping & Returns : E-Stim Systems | EStim | Electrostim | Electrosex | Electroplay, Personal electro stimulation with a professional touch. We have changed and simplified our shipping rates. Shipping charges are now based on the value of your order, and the destination. If you require a specific delivery service (Saturday Delivery etc, then please contact us before placing your order. All our parcels are packaged discretely for your privacy. We now offer FREE shipping on all orders to UK Destinations. This is a 2 to 3 day service. Should you want your order faster then we do offer an Express Shipping which is next working day (subject to location). We use DPD Local as our main courier for our UK Express service. This gives you access to a Predict service, providing you with a one hour delivery window, notified by SMS and email, so you don't have to wait in all day for your delivery. You can also use Follow My Parcel enabling you to watch the progress of your pace on a real-time map, all the way down to a final 15 minute time slot. 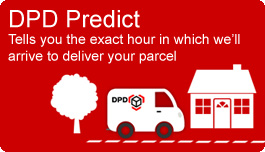 You will even get the name of your DPD Local driver, as well as the position you occupy in their delivery queue. If you cannot make it at the time the delivery is scheduled, you also have access to a variety of rescheduling options both on the day of delivery and the night before, once it has been collected, allowing you to take delivery of your goods in a way that suits you. If you need more details then please do not hesitate to ask. This service is NOT available to destinations outside of the UK or to Highlands and Islands, and can NOT be used for PO Boxes. Should DPD Local services not be available then we will look to use an alternative service such as Royal Mail Tracked 24. Spend over £149 and your order will be shipped for free. Otherwise it is £8.95+VAT for orders under £50 and £14.95+VAT for orders value up to and including £149 (excluding Norway,Switzerland, Cyprus,Hungary, Greece, Romania , Bulgaria and Moldova where the rates are £12.50+VAT for orders under £50 and £19.95+VAT for orders up to and including £149) . Please ensure that if you are using a PO Box that mail originating from the Royal Mail that requires a signature will be accepted, as if the parcel is returned a re-shipping fee will be charged along with any other additional charges incurred for its return. Please note we are unable to ship to Packetstations or any other Postal Services unless they will accept signed for parcels. Visit our Worldwide Store for the correct VAT free pricing. When ordering online your order is initially processed by our online store system and then, if you have selected to pay via Credit/Debit Card, you are passed to a highly secure payment server run by SagePay. Your payment details are processed by SagePay and your card issuer and then if your payment is successful you are then passed back to our server. For security reasons we do not have access to your credit card details, only the fact that you have paid us is recorded. If you wish to add to your order once it is placed then please contact us. Orders placed before 2pm (UK Time) will generally be dispatched on the same day, (Monday to Friday), assuming everything is in stock at the time. If you need an item for a specific date/event please contact us before ordering. If an item is out of stock we will send you an email to tell you what is going on. As we manufacture most items in house we generally have a maximum stock turnaround of less than a week, but at busy times this can be longer, but we will try to keep you updated. Your order has been checked and is now being processed. In the event that items are out of stock, your order will remain in processing until it is ready to be dispatched. We are currently in the process of making some of the items you have ordered. As soon as they are back in stock your order will be updated. 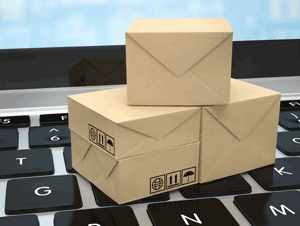 We use a number of delivery systems, depending on your requirements and the destination of your order. Overseas delivery times are dependent on the time of year as well as the vagaries of customs and the destination delivery services. If you wish a guaranteed timed delivery service please contact us for more details. UK Orders UK orders are generally shipped via a Royal Mail Tracked Service or DPD Local, depending on the size of the order and if Express Shipping has been selected. When your order is delivered you will normally be asked to provide a signature, or the Carrier will leave a 'while you were out' card. *Estimated Delivery times are times given for deliveries stated by the relevant postal system and are from the date of dispatch. Times stated are quoted as working days and do not include delays caused by customs clearance or other activities beyond our control. In the event of a package being returned after failed delivery attempt(s), a delivery refusal, or a package is returned to us for any other reason, then we reserve the right to charge a restocking fee of 10% plus any additional costs incurred by us in the return of the items. Refunds will not be issued until items have been safely returned to our offices. Redelivery will be chargeable should the parcel still be required. All of our Control Units and Premium Electrodes are backed with a Lifetime Guarantee(subject to terms and conditions). We would never knowingly sell a defective or substandard product and have we have an experienced test team that strive to ensure every item leaves us in perfect working condition. However in the unlikely event that you find a fault, then please contact us before returning any item. We hope you will understand that we cannot take back any item that is used intimately, as we have to guarantee the item is new and unused. So once the hygiene seals are broken it is yours. Of course if it has failed then we will repair or replace it (at our discretion). If you are not sure that what you are buying is what you want then please talk to us before making your purchase. We do not offer a sale-or-return service. We consider any item that can be used internally or directly against the skin to be an intimate product. do not match the description, sample or model. You no longer have an automatic right of return just because you don't like it, or its too big. Please check the product descriptions carefully, and if you are unsure regarding sizing or suitability for purpose, then please contact us before making a purchase. If you find, on receipt of your items any of them are faulty, then you are responsible for returning them to us in order for us to affect a repair/replacement or a refund (if it is under 30 days from date of purchase). We will refund any reasonable postage costs, once the items have arrived in our Watford workshops, but the delivery costs (if any) form a contract of service that has already been fulfilled. If you have broken any security seals, which we can reasonable expect to be intact then this would be considered to be abnormal use, and thus remove your rights under the CRA 2015. All Power Boxes, and Premium Electrodes are covered by our Lifetime Guarantee. Other electrodes are covered by a 12 months guarantee. Cables, pads, and Gels are all considered to be consumable items and are therefore only offered with a 3 month warranty. Goods that cannot, by their nature, be returned - this includes items that might have been used in an intimate nature, and computer software. Goods purchased through the Professionals' Discount program, as this is considered to be a B2B transaction and not covered by the Consumer Contracts Regulations. The first EU consultation on the original Distance Selling Directive stated that it had concerns about the fact that health and safety considerations are not reflected in the right to return products that are of an intimate nature or have been tried, there would be possible health risks in returning these products, Therefore if the seals have been broken the goods may not be returned. All goods returned under the CCR or CRA are the responsibility of the consumer until they have been returned. Please note that Goods purchased through the Professionals' Discount program, as this is considered to be a Business to Business (B2B) transaction and not covered by the Consumer Rights Act /CCR.